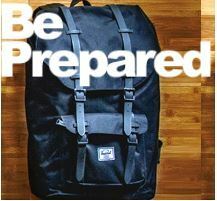 Emergency Preparedness: LAFD CERT Valley Bureau's "How to make a Great Go-Kit"
• Are you prepared? What have you done to prepare since last January? • Water barrels filled and secure - or a good stockpile of potable water bottles and containers on hand? • Checked your first aid kits for expired products, damaged bandages and replaced as needed? • If any family member is on medication(s), do you have an extra supply on hand? Have copies of all those important documents in a sealed and sturdy plastic bag readily accessible? • Is your Grab 'n' Go bag, Go bag, Bug-out bag, etc., near the front door and ready to go? Don't forget your car kits, pet kits, work kits, etc. Yes, back by popular demand - our guest speaker for the January meeting is Jeff Edelstein of SOS Products. He will be sharing his knowledge and tips for what truly makes a solid Emergency Kit. And don’t forget that as a continuing supporter of CERT members, SOS always offers a 10% discount on store purchases to CERT graduates. *** Please consider telling your neighbors about this meeting - when an event happens - you will want everyone around you to be prepared. Tell loved ones, co-workers, neighbors... CERT training is never a requirement for these meetings. And as always, at the end of the meeting - - if you have any non-CERT community news that you would like to announce, please feel free to do so.